Heading into Final Jeopardy, Amy elected to risk all $17,200 she’d earned throughout the game on a fairly obvious question about dinosaurs and she totally missed the landing. 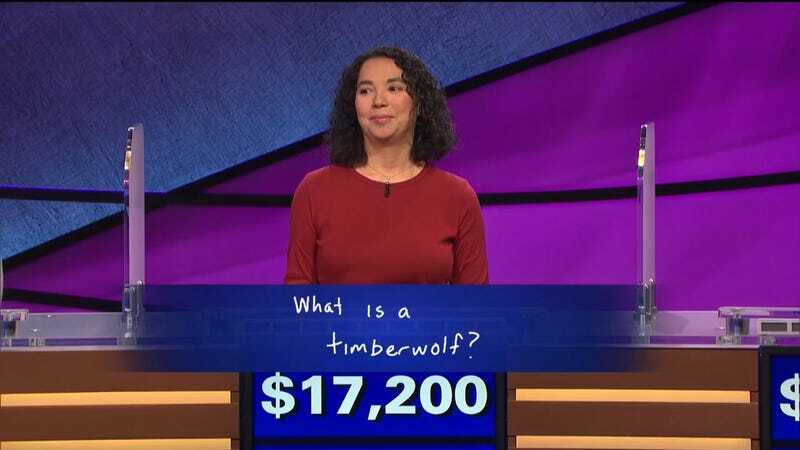 I have never seen a Final Jeopardy question as easy, and yet. Let this be a lesson: Never bet on the Timberwolves.